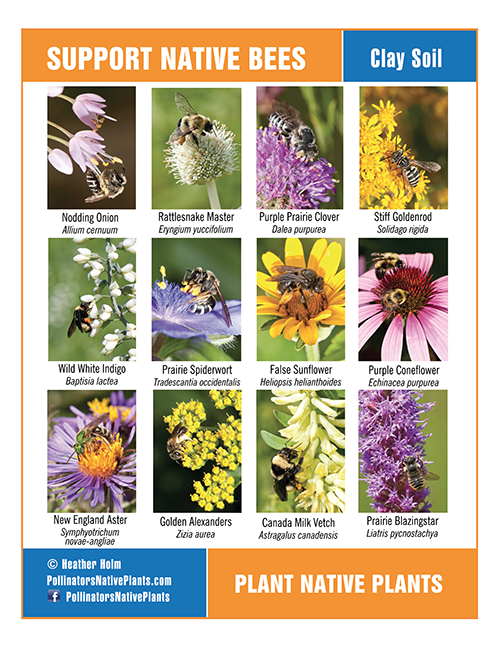 We have a couple of new insects in their larval stages in the yard this week. Both look like caterpillars (larvae of butterflies and moths) but one type is actually sawfly larvae. This brightly colored one is a Brown Bordered Owlet Moth caterpillar (Cucullia convexipennis). We spotted several of these of various sizes and lengths on our Zig Zag Goldenrod (Solidago flexicaulis). 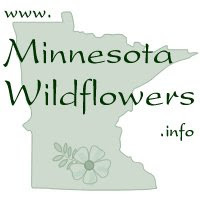 According to Jim Sogaard in his book Moths & Caterpillars of the North Woods, the caterpillar feeds on plants in the Aster family, prefering the flowers over the leaves and the pupa then overwinters underground.The adult moth is a non descript light brown color about 1.5 inches in length. 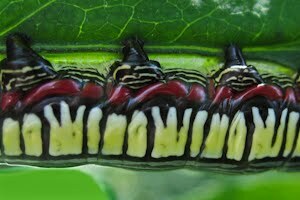 Here is a close up of the side of the Brown Bordered Owlet Moth caterpillar. 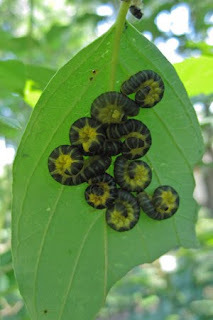 The caterpillar look alike is the Dogwood Sawfly larvae (Macremphytus tarsatus). The are often found in clusters on the underside of dogwood leaves curled up. 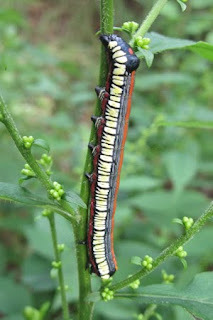 This larvae changes in appearance during its instar (larval) stages, looking whitish with a powdery coating to a bright yellow with dark markings (Penn State Fact Sheet). The leaf damage on our dogwoods (mainly the red twigged dogwood) is on all of the new growth. 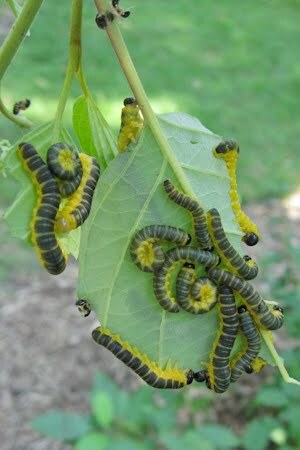 These larvae have completely defoliated the top quarter of the plant leaving only the leaf mid rib and petiole. 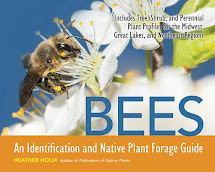 According to the fact sheet cited above, the damage rarely kills the plant because the feeding is late in the season. 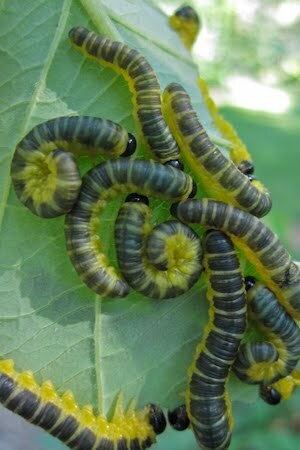 Like the caterpillars above, these larvae overwinter on the ground in rotting wood. We have begun to see warblers and vireos this week in our yard, stopping over on their way south. I'm sure these sawflies will be pretty tasty and nourishing for their long flight ahead.